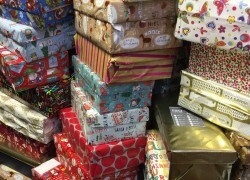 Lowerschool collect 186 christmas shoeboxes! Over the past two weeks, students from years 7, 8 and 9 have been collecting shoe boxes for the Trussell Trust 2018 shoe box campaign. The Christmas box appeal allows children and adults that have been rejected or are living in difficult circumstances all over Southeast Europe to receive a full box of small gifts at Christmas time. Students were asked to fill a shoebox with things such as, stationary, toiletries, sweets and toys. Students between them collected 186 shoe boxes and £400 for the charity. 7L1 were the winning tutor group who collected 28 boxes all together!